One day you’re a vice-governor of Jiangsu province, based in Nanjing. The following day, you’re suddenly officially named the mayor of Nanjing. That’s what happened to Lan Shaomin [蓝绍敏] who, in an unexpected announcement here on Friday, was named to replace Nanjing mayor Miao Ruilin [缪瑞林]. It’s a puzzling piece of news. First, there’s the timing of the announcement. 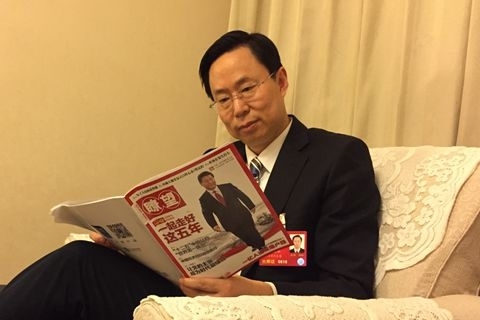 According to official reports, Miao’s request to resign from his position as mayor was accepted [接受缪瑞林同志辞去] on the very eve of the city’s “Two Meetings” [两会]—the annual conclave of representatives which help chart the city’s course for the coming year. Maybe. But this is a meaningful gathering, especially this year as it’s being held in the wake of the 19th Party Congress. For the mayor of Nanjing to step away just before this major event gets underway smacks of something nefarious as well as abrupt, especially as Miao was out in public a little over a week prior to this news. There’s also the way in which Miao departed and Lan took over. Usually an official steps aside; a successor is named, shown shaking hands with his predecessor; and political life is presented as returning to normal. In this case, however, there was no official handover, just the announcement. Moreover, no reason was given for the change; these days there often is. It may be that Miao is in poor health—although even in that event, there can be some sort of public mention. And all of this is baffling for another reason. 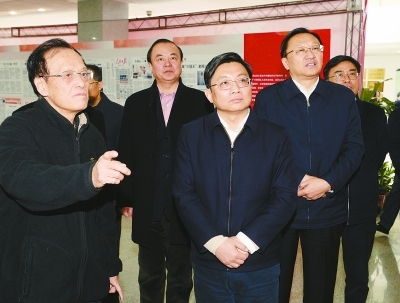 Miao did an excellent job in a difficult situation when he became Nanjing’s acting mayor in December of 2013, succeeding the fabulously corrupt and greatly despised Ji Jianye [季建业] when the latter was ousted for graft. Miao was popular among many local officials and the public here knew him as someone who was a vast improvement over his predecessor. One would have thought that if Miao were leaving his position as mayor, it would be because he was being promoted. And maybe that’s what will end up happening. Still, whether Miao stepped down or was pushed down is an important question, beyond Nanjing. If the former, we’ll likely hear more of him in the months ahead. Miao seemed a striver, and perhaps he still is. But if Miao has been cast into political purgatory, it might be because Beijing wasn’t happy with what some saw as a dearth of support for Xi and his program. Nanjing hasn’t been exactly gushy in its references to the resolutions reached there in October, and surely that’s been noticed by Beijing. Or Miao may have fallen victim to what is looking like a re-energized anticorruption campaign here in Nanjing. Maybe he’s being held responsible—or just being held. Miao’s resignation is either a spot of local news, or a harbinger of something larger in the province and perhaps beyond. Perhaps his successor will share the answers—once he gets settled into his new job. 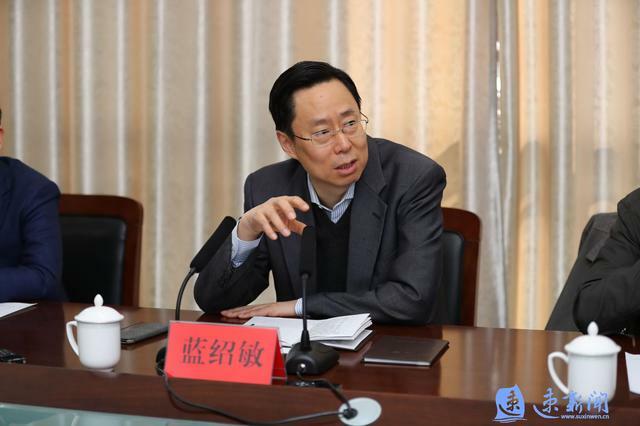 Miao had been a vice-governor of Jiangsu before he became mayor in Nanjing himself, so there’s some procedural precedent in Lan coming from the same post to take over. The various charges of corruption leveled against Ji were well-documented, and entirely unsurprising to local residents and officials here. For another view, there’s this take.